Taking time to relax is essential to our overall health. But with our ever-so-busy lives, it can be hard to sit in stillness and unwind. We might feel guilty if we’re not doing something, but down-time is just as productive and necessary as on-time. Even when we do take the time to sit in peace, it’s not always easy to shut our minds off. Why not diffuse some essential oils for relaxation? Essential oils are an effective tool to help us naturally get in a relaxed state. They help create an environment that invites our bodies to calm down, our minds to become quiet and our spirits to find peace. 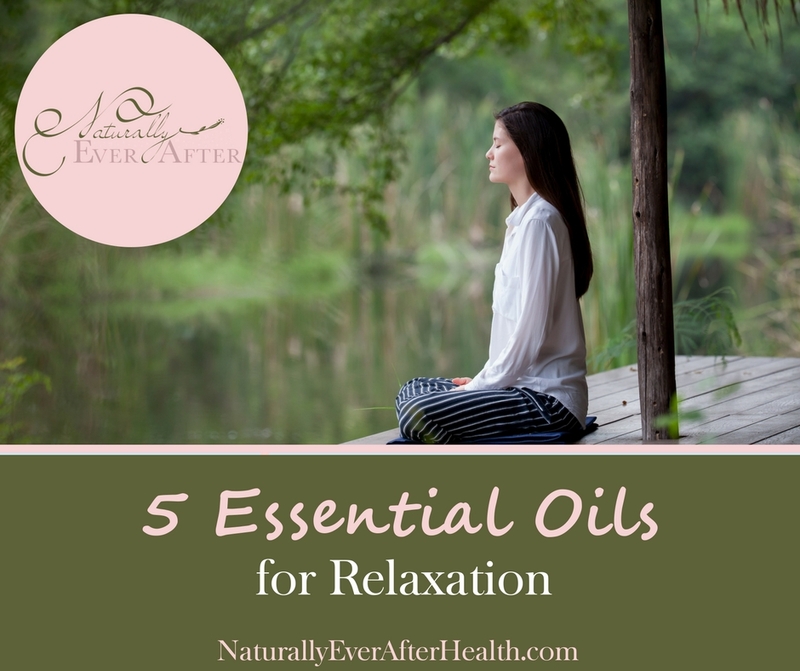 In this post, I’ll show you the best essential oils for relaxation, how they work and how to use them. 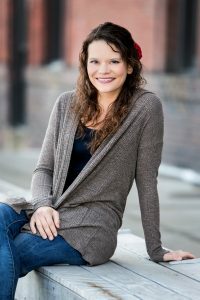 When I realized that stress was the biggest culprit of my IBS issues, I knew I needed to make relaxation a regular thing in my life. I started doing more yoga, learned meditation and wrote and read more, and all of these things helped. Incorporating essential oils for relaxation enhanced the process even more. 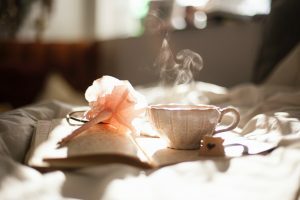 I started using them by diffusing lavender at night, and this helped me get into a restful state and fall asleep easier. Using oils before bed is common, but you can also use them throughout the day whenever a stress trigger sets you off. The scent of an essential oil can help relax you in the moment, help you think more rationally and offset physical reactions to stress. Emotionally and physically, we all respond to stress in different ways. When you can assess the situation at hand and make a conscious choice to interpret it differently, you can actually reprogram your body’s stress response. Essential oils help support the process of reprogramming the stress response on a chemical level. When the body recognizes stress, adrenaline and cortisol is released into the bloodstream. These hormones affect the digestive, reproductive and immune systems, and when stress turns chronic, it can seriously impact those body systems. 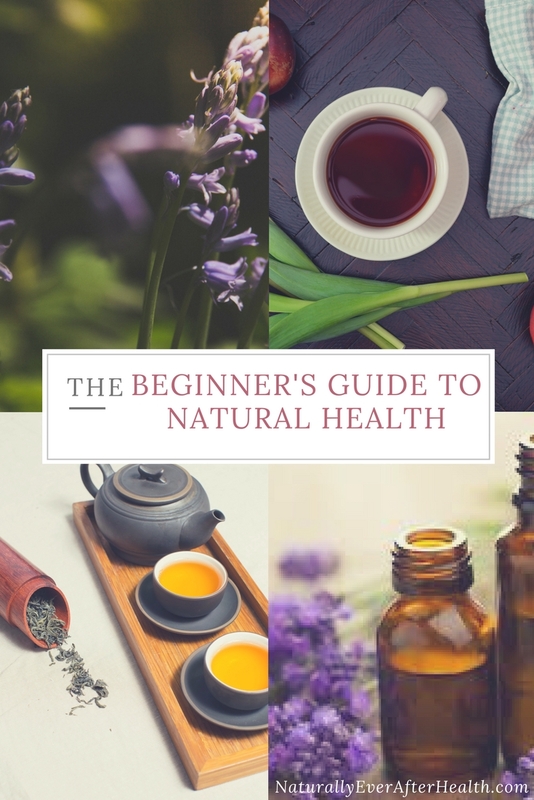 Various essential oils are effective in interrupting unhealthy stress responses and helping us maintain homeostasis – the body’s state of being healthy, alert and effective. The chemical compounds in citrus oils, for example, can help cells return to their normal state, interrupting the body’s descent into fight-or-flight and shifting the body toward balance. To get the relaxation benefits of essential oils, put a few drops in an essential oil diffuser or put a dab on your wrists, rub your wrists together and inhale the scent. 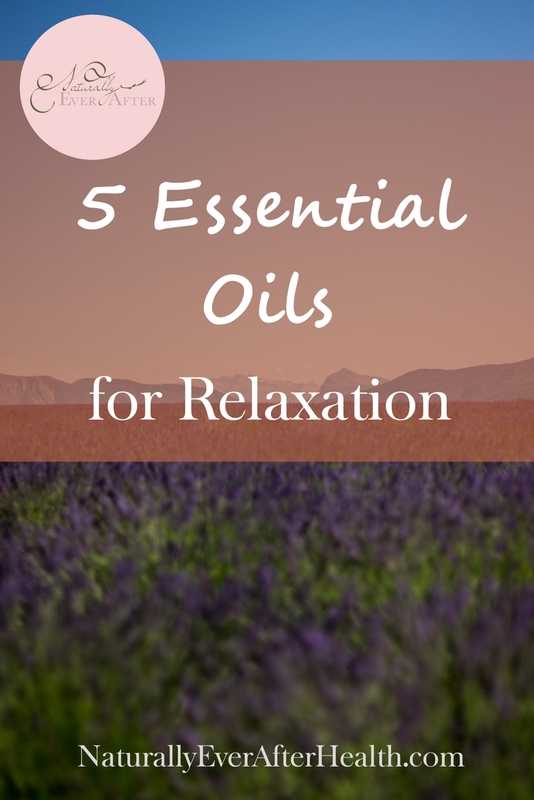 Here are a few essential oils best known for their relaxing properties. Used for medicinal and religious purposes for over 2,500 years, lavender essential oil is known to have a calming, relaxing effect. Many studies show the relation between inhaling lavender essential oil and a reduction in stress. It is considered a nervous system restorative. This is my go-to for diffusing at night, but it doesn’t hurt to carry it with you throughout the day for a natural stress-reliever. This herbaceous, delicious-smelling oil is known as one of the most relaxing and balancing essential oils. Clary Sage essential oil promotes a relaxed state and helps the body prepare for a restful night’s sleep. Create a relaxing environment with this grounding oil, known for promoting emotional balance and calming the mind and body. This oil is a great addition to a diffuser blend, but you can also apply it to the bottoms of your feet for more relaxation. Oils get into the bloodstream within 30 seconds when applied to the bottoms of the feet. Known as the king of oils, Frankincense provides tranquility as well as spiritual grounding. Diffuse Frankincense during your meditation practice to help you quiet the mind and go deeper into your spirituality. Pair this with lavender or any other relaxing essential oils for an enlightening, relaxing environment. Vetiver is known as the oil of tranquility and is used to soothe feelings of anxiety and nervousness. An effective calming and sedative agent, vetiver essential oil relaxes your mind and body, allowing your hormones to balance out naturally. It’s known to help with insomnia as well. Using essential oils for calming purposes is an effective way to manage your stress.In any case, you want to use certified pure therapeutic grade essential oils. If you’d like to get started using any of these essential oils for relaxation, contact me and I’ll help you figure out where to start. 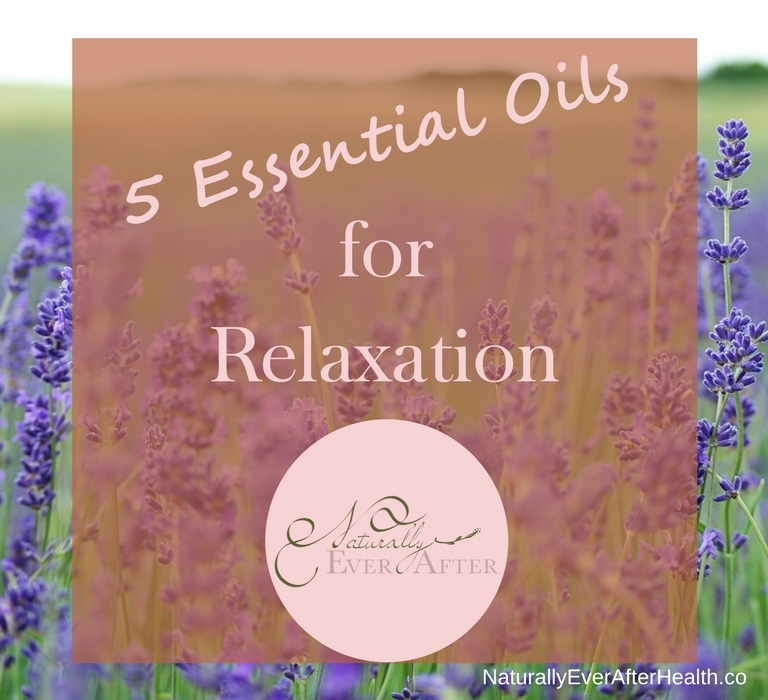 Do you use essential oils for relaxation? How so? Which are your favorites? Leave a comment!